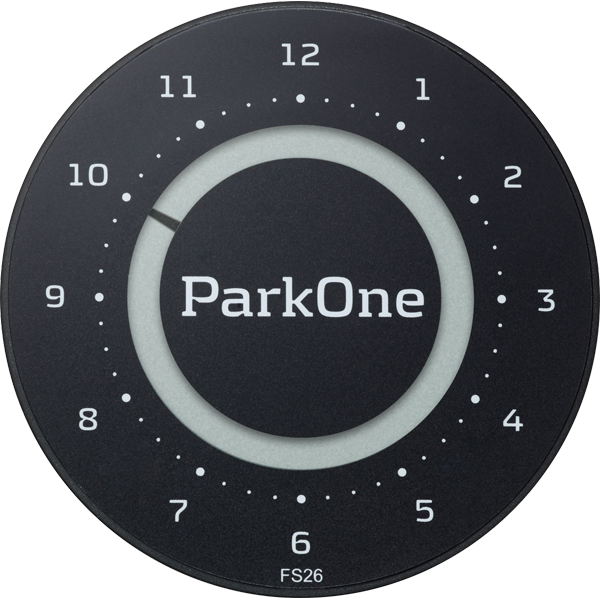 ParkOne 2 sets the standard! This is how the market’s best electronic parking disc looks and functions. 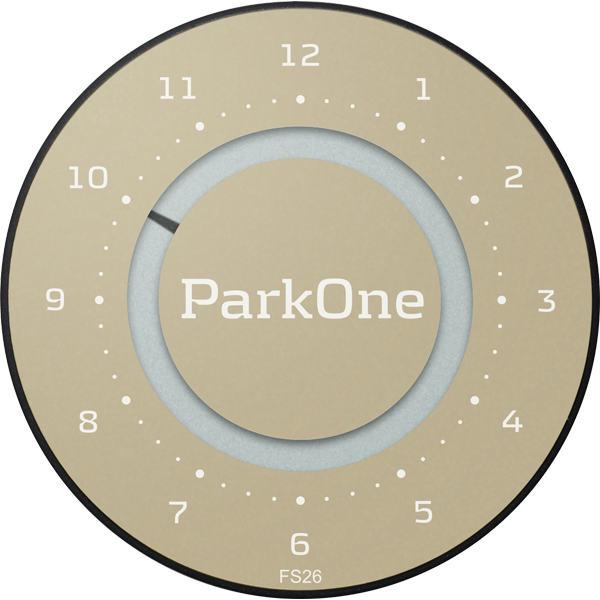 The new parking disc is based on the incredibly popular ParkOne and incorporates consumer feedback and hundreds of hours of laboratory testing. Like its predecessor, ParkOne 2 is designed by John Sebastian. The design is minimalistic and elegant, and the designer has enhanced the visual design expression by making it wafer thin. The internal display is angled to make it easier to see and read the figures. A single centrally positioned button on the back creates the perfect balance between function and visual design to an extent only seldom witnessed in an industrial product. 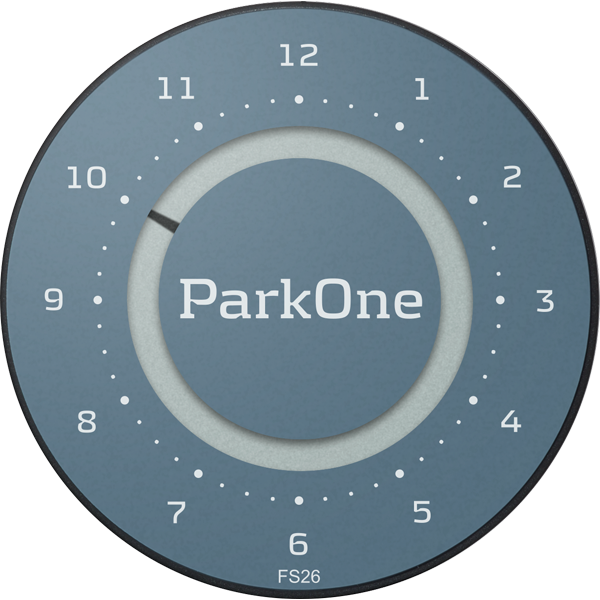 We have invested a great deal of time and hard work in creating ParkOne 2. The result almost speaks for itself. ParkOne 2 is designed by award-winning Danish designer John Sebastian. 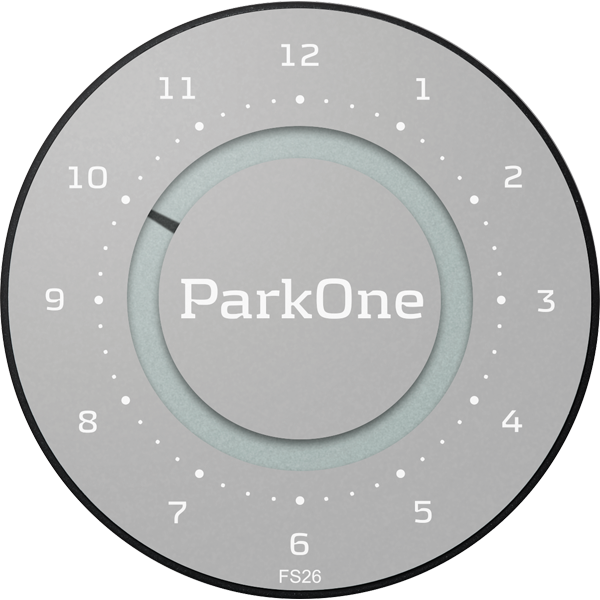 His vision for an electronic parking disc unites modern car design and minimalistic Scandinavian identity. John Sebastian’s comprehensive CV includes design work for iconic names, such as Georg Jensen, BioMega, Fritz Hansen, Stelton, Holmegaard and Royal Copenhagen, as well as international companies, including Samsung Electronics, DuPont™ Corian® and Sony. ParkOne 2 has elegant, simple lines and intuitively functional details. The front is easy to read. The disc has well-balanced proportions and matches the design expression of today’s vehicles. The back of the disc is also simple. There are no superfluous details. 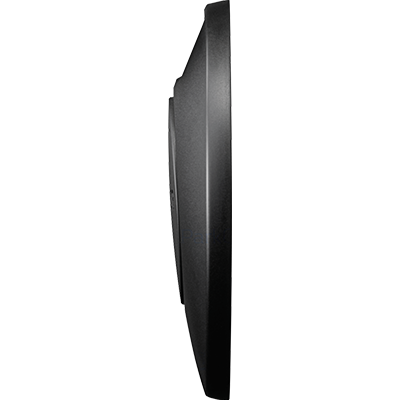 The rounded contour of the disc itself is echoed by the central time-setting button. Click off the button for easy access to the battery and time setting function. 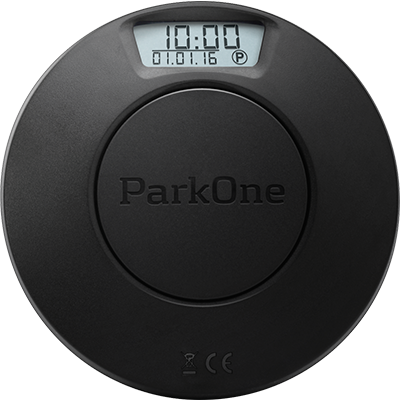 The display on the back of the ParkOne 2 is angled for easy reading. In many recent car models, the windscreen is angled sharply and the dashboard is deep, which makes a downward-facing display difficult to read. ParkOne 2 solves the problem. 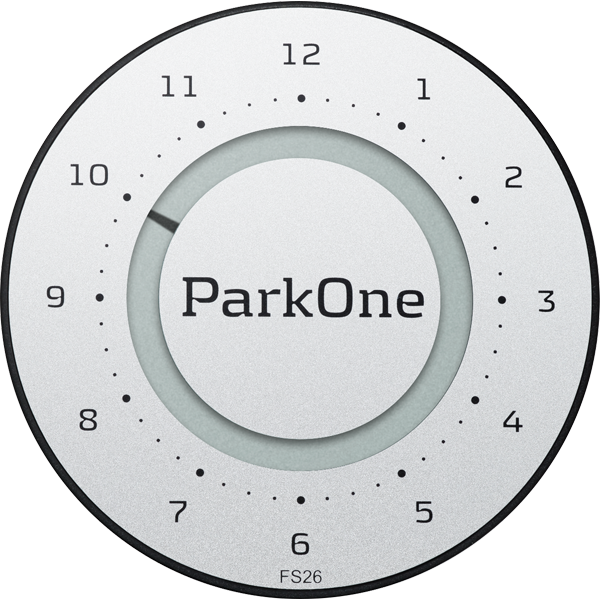 ParkOne 2 has only two buttons. The large round button on the back has two functions: In parking mode, to advance the time, press the button. To set time and date, click off the button to reveal two smaller buttons underneath. To replace an exhausted battery, use a pointed instrument. Easy! Average accuracy: ± 2 minutes./2 years Reaction time (parking mode): appr. 20 sec. Termination of parking mode: appr. 20 sec. ParkOne 2 is available in six colours: All discs have a black matt silk back. 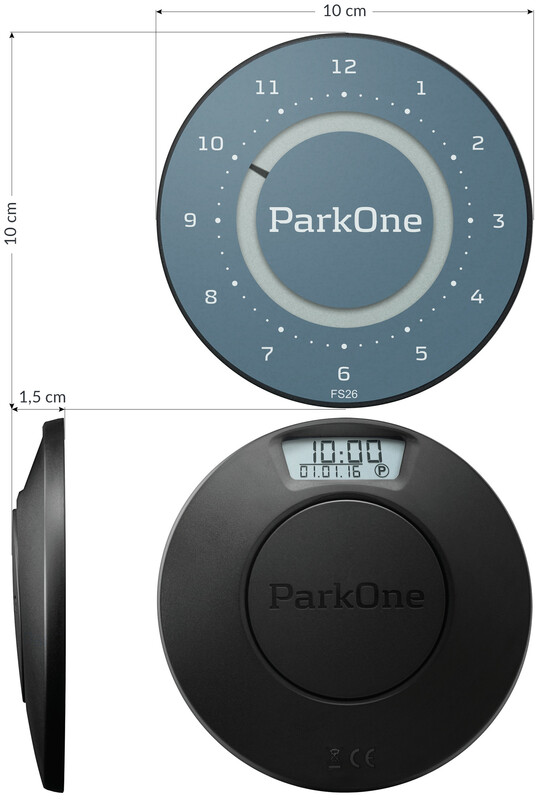 ParkOne 2 looks good when you choose a parking disc in the same colour as the vehicle. Sometimes a light coloured parking disc will look good on a dark-coloured car, and vice versa. Don’t forget that to coordinate your disc with the colour and shade of the vehicle’s interior too. We offer an extra set of 4 x 3M self-adhesive pads and a cleaning cloth (packed in a small bag). Cleaning cloth and self-adhesive pads are available from your ParkOne 2 dealer. ParkOne 2 is approved by the Danish transport authority in accordance with Executive Order no. 327 (2003) on parking discs, and approval code FS26 is imprinted on the front. To gain Danish transport authority approval, a parking disc must be 100% reliable, and the parking time on the disc impossible to manipulate. All components – including the battery – are tested at SGS Fimko, Finland’s leading supplier of testing and certification services. Needit is a company which specialises in the design and development of products and services for use at home and in your car. We have a wide range of skills in-house, including, logistics, design, development, sales and marketing.